Cold Weather, Aching Joints? Think Again! You are here: Home / Evidence-Based Living / Cold Weather, Aching Joints? Think Again! For centuries, doctors and patients have believed that cold, damp weather contributes to joint pain. In fact, there is evidence this theory dates back to Hippocrates in about 400 B.C. Older surveys and studies find that patients experience an increase in pain when the temperature drops and humidity rises. And you can find all sorts of medical advice about how to prevent joint pain in cold weather. There are even apps that will use a weather forecast to predict whether you will feel increases in pain in the near future. But a growing body of evidence calls into question this age-old theory. Two new, robust studies find no link between weather and pain, and a systematic review from 2009 supports that same conclusion. Let’s take a look at them individually. The first study, by Australian health researchers, examined how factors including temperature, relative humidity, air pressure and precipitation influence knee pain from osteoarthritis. For the study, researchers asked 345 arthritis patients to take online surveys about their knee pain every 10 days for three months. Researchers also asked participants to report any time they experienced a significant increase in knee pain that latest more than 8 hours. Researchers then obtained weather data for each patient’s zip code and used complex statistical analyses to compare weather changes to pain flare-ups. Of the 345 participants, only 171 experienced a significant pain increase during the study. Among these patients, researchers found no association between weather changes and knee pain. In the second study, Australian researchers measured the association between precipitation, humidity, wind speed, wind gust, wind direction and air pressure with low back pain. They used patient data from a large, longitudinal study originally designed to evaluate acetaminophen for the treatment of lower back pain. The weather study used reports from 981 participants, who recorded their lower back pain levels over the course of a month. Like the first study, researchers then collected weather data and compared it to participants’ pain flare-ups. Similar to the first study, researchers found no association between weather changes and increased back pain. Their finding proved true when looking at weather on a single day, or changes in weather over the course of a week. One important note is that both studies collected weather data independently of pain reports, which helped to factor out participants’ personal beliefs about the link between weather and pain. Both new studies come to the same conclusion as a systematic review published in 2009 that examined the link between weather and pain from rheumatoid arthritis. The review included nine studies that looked at the link between pain and temperature, relative humidity and barometric pressure. The review only included longitudinal studies where participants reported pain levels on a daily basis. When researchers compiled all of the data, they found no relationship between weather and pain from rheumatoid arthritis. The review did find that some of patients did experience changes in pain based on the weather, but in response to to different weather variables. 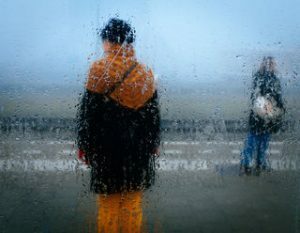 The review authors put forward that patients may pay more attention to their pain on rainy days, or that rainy days may cause a depressed mood, which makes pain symptoms feel worse. The take-home message: While it’s clear that people believe in the link between weather and pain, robust, longitudinal studies do not find a significant link between pain and weather factors such as temperature, humidity and pressure.